Which Italian market do you prefer? Do they have good sauce, too? Or do you make the sauce? I like Roma Market (corner of Mountain and Lake) for both the crust and the sauce. They also have really good pepperoni. Yum. Trader Joe’s is OK in a pinch. 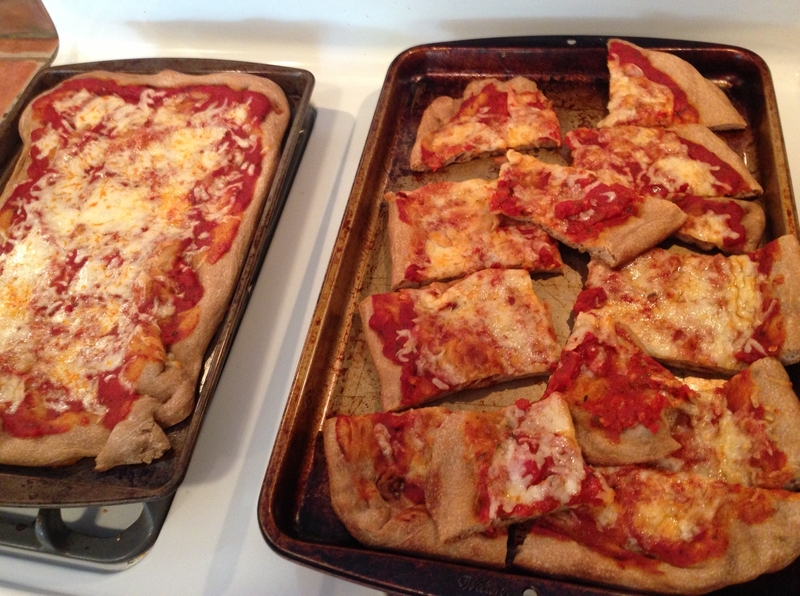 Fresh and Easy makes a 100% whole wheat pizza dough but I rarely make it down that way. Hope this helps!